As a little bit of background, the North Lindsey Light Railway was a line which ran from Scunthorpe up towards the south bank of the River Humber. Its primary purpose was the transportation of ironstone from the mines north of Scunthorpe to the towns various blast furnaces. 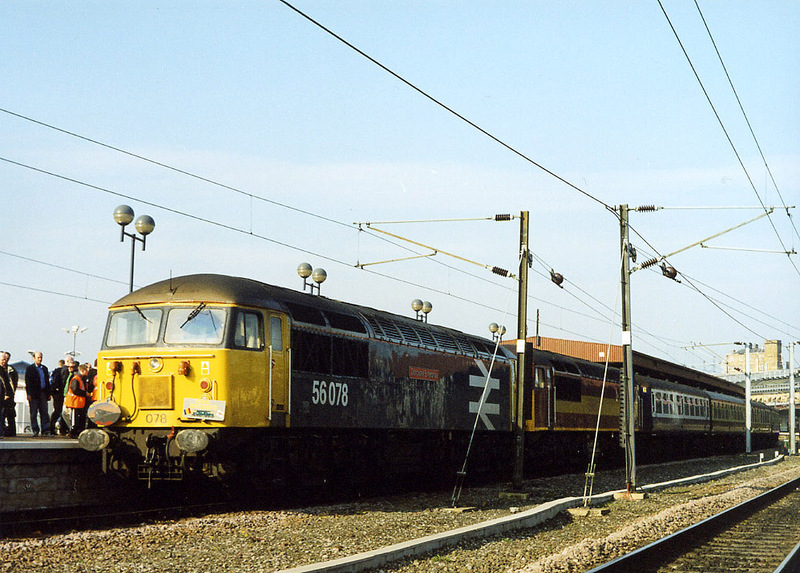 It was only the low price of foreign ore which ended the line’s involvement with this part of the local industry – local ore was rather lean but had the advantage of being self fluxing but cost is a major consideration and so in the 1980s iron traffic on the line ceased. Now the line remains to serve Flixborough Wharf where some steel is exported and serving Roxby where rubbish is taken to be buried deep within old ironstone mines. This operation was itself fascinating with industrial locos running alongside mainline locos in places! Only when the line was near Scunthorpe itself did the private railway break away to head directly into the heart of the works at Appleby-Frodingham. Once upon a time immaculate steam locos from the Ore Mining Branch headed these ore trains. However this is all gone now, though the loco shed for the Ore branch locos is still extant, albeit no longer rail connected. It was just a shame that the old water tower succumbed a couple of years back. Our proposed layout draws huge inspiration from my time in Scunthorpe and childhood memories – it also manages to combine both mainline trains and industrial workings. 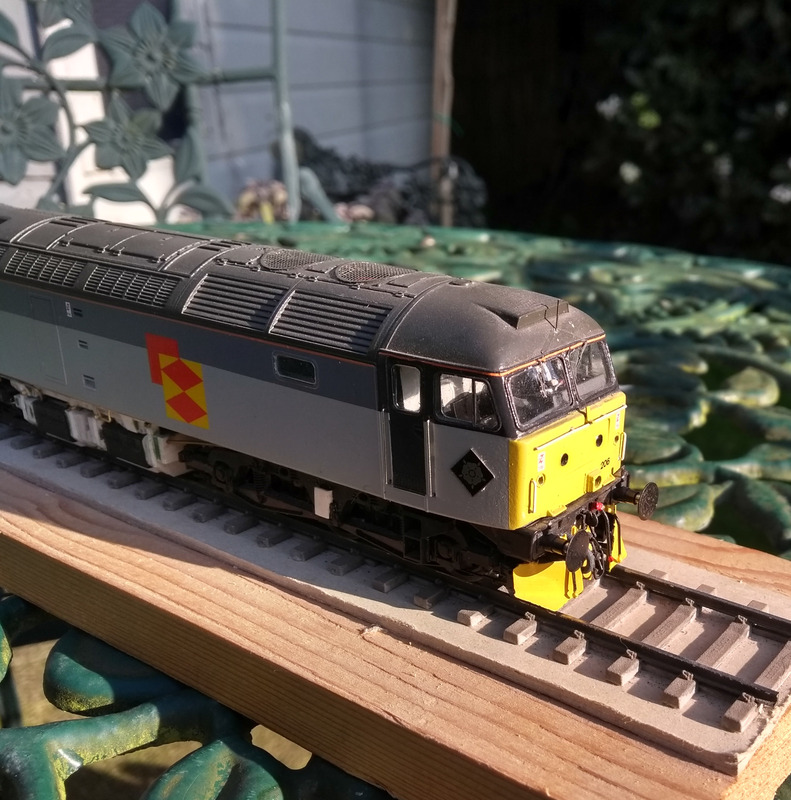 It will be set around 1992; sadly I think wanting to model things and times I remember from my childhood is a sign of getting old! At the heart of the model is a further steelworks in the Scunthorpe area. I’m assuming that another works was built by the Trent near Alkborough allowing a couple of BSC locos to visit the exchange sidings! An extra works isn’t as daft as it seems – the Scunthorpe area has seen around ten different works at different times! It would be well placed to make the most of local ore and provide a location for a wharf for supplying by barge or sea. The included maps should give an idea of the location. If you look on Google Maps there is an area which looks like it is abandoned industrial land – as far as I know it’s just marshy waste ground and has been for a long time! A small connection to the North Lindsey Light Railway would sort things out. An image taken from an article on the line from a rather old copy of RAIL Magazine – the operation in involving the local pilots is rather well illustrated here. Reproduced by kind permission of Dr Michael Rhodes. One thing which has really influenced the choice of location is something which happened about seventeen years ago. 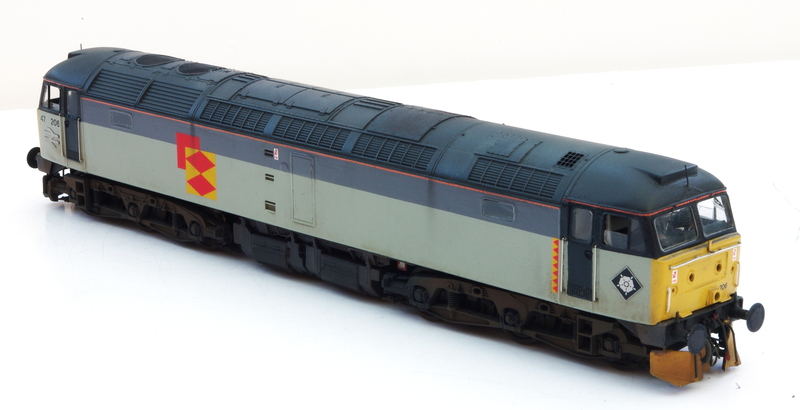 When I was about ten, my Dad arranged for a cab ride on the Flixborough Wharf branch – through his work he knew most senior managers of any large companies in the local area and knew the guy who then ran Flixborough Wharf and the result was a cab ride on the class 20 they had at the time! We went from the Wharf up to Dragonby Sidings having first reversed half way along – this kick back was removed a few years ago, it was a a result of the original lines around Normanby Park Steelworks but had lasted long after the works closed in 1981. The driver and shunter were both ex-BR and lovely to me. The whole experience is a memory I will treasure forever! Although I’ve had many cab rides since through work this memory is particularly special. The location map shows possible routes for rail traffic. The red shows the approximate route of the NLLR; the green is my chosen route in. It goes to the centre of the site and I think it makes the best choice of route given the drop from the exchange sidings to the River level. Sidings near Whitton look more logical but that section of the NLLR would have struggled to cope with the steelworks’ level of traffic. It was really a light railway there – whereas up to West Halton the NLLR was anything but a light railway! I do think the plan is quite plausible and would provide a nice operation for BSC locos complete with BR locos. My assumption is that like Skinningrove it no longer casts its own steel and receives blooms from App-Frod works. Skinningrove lost its furnaces in the seventies I think – Alkborough, I’m thinking, would have lost theirs in the eighties, after Normanby Park Works had closed with iron/steel production being concentrated at the main Scunthorpe site. Just how to translate all of this into a layout isn’t the easiest task. First of all it’s grown from a small layout which could have been easily left up at home into a much larger exhibtion orientated project. Not a bad thing as I think the extra room will help with a feeling of ‘open-ness’ whilst allowing the yard to appear like its best years were some time ago, with plenty of spare land around it. So this is where things currently stand – operation will be very simple as essentially is just the exchange of wagons between the works and the main line. 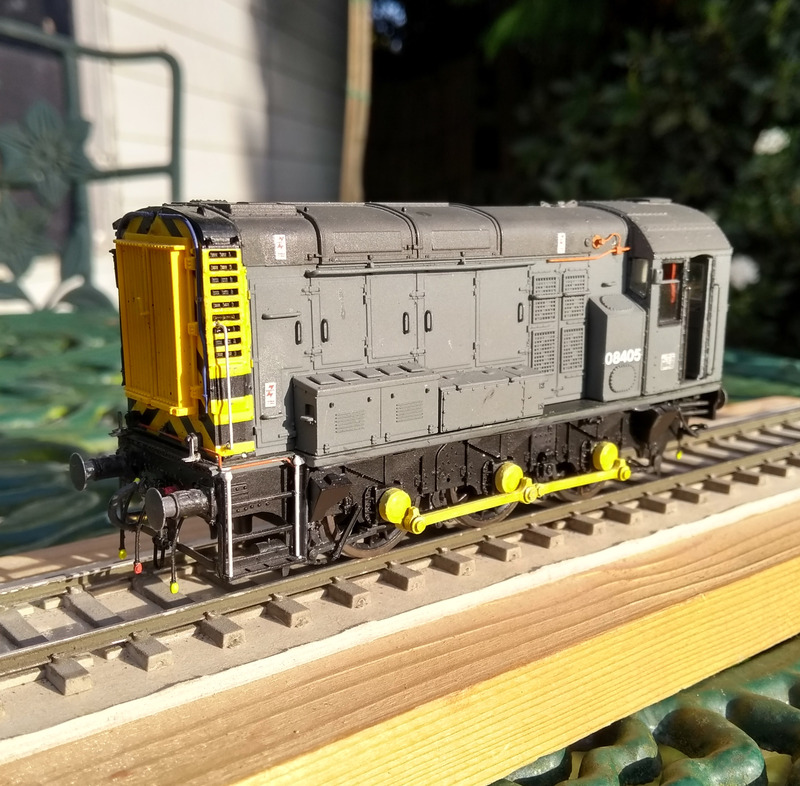 It should be a simple task with a decent amount of space available but resisting the temptation to enlarge the yard and add more sidings has been hard. It has however, allowed us to incorporate a couple of things which are very much a part of the industrial railway side of Scunthorpe. The rather un-British looking Control Towers which regulate traffic around the site, although not all are now in use. The rather angular, austere looks do have a certain charm within the context of their environment and to regulate the traffic between the exchange sidings and the works an example seems ideal! Out on the mainline an ex-Great Central Railway signalbox will be perfectly in character for the line and a lovely opportunity for a slightly run down structure displaying a make do and mend approach to its maintenance. This brings the development of the concept up to date – a lot of thought to try and make it all seem believable. Hopefully others will think so!